If I were a boy I’d be using the Marks and Spencer Harvard Body Splash everyday to school, work, play, and everywhere I go. The exquisite scent that lasts is definitely a turn on considering that it’s not even expensive. Obviously, I’m not the one who wears it but my husband does for several years, long before we were together. I love the smell of this cologne on his neck and clothes. The refreshing and not over the top scent remains even days after he wears the shirt splashed with this product once he takes it to laundry. Its name, Harvard, matches the type of personality embodied by this product – smart and classy. 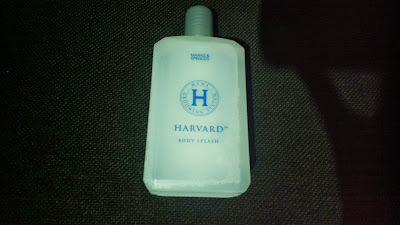 You can get the Harvard Body Splash at all Marks and Spencer branches nationwide. Visit www.global.marksandspencer.com/ph for more details.